There are certainly good results from innovative medical devices, giving people a better quality of life — but then there are some which are hurting more than helping. Having to choose between some relief with new severe side effects, and doing without but knowing the expectations is a personal decision. When you do decide to go forward with a procedure, you should at least be able to trust the products isn’t going to harm you. Auger & Auger is standing up to companies on behalf of clients who have suffered during the normal and instructed use of all types of defective medical devices. Whether it is a Bair Hugger warmer blanket or transvaginal mesh, hernia mesh, power morcellators, metal or Stryker hip replacements — no person should be forced to deal with a lifetime of discomfort because of a defective medical device. Our Greenville defective medical device attorney is here to fight for the patient’s legal right to compensation. Auger & Auger is presently in litigation on two particularly prominent issues; hernia mesh, and IVC blood clot filters. When hernia mesh is implanted post-surgery their purpose is to support the tissue while it’s healing; unfortunately, many types may decompose and migrate throughout the body. The intention for IVC blood clot filters was to keep clots from migrating into our most significant body parts (brain, lungs, heart); but again, the filter’s fibers are inclined to disintegrate. 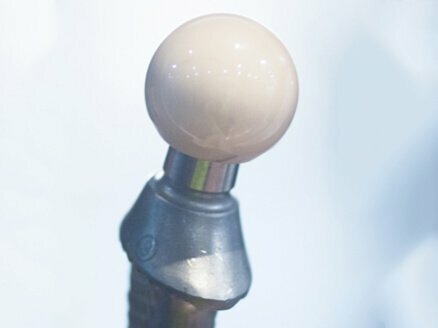 Our Greenville defective medical devices attorney is also accepting cases for patients who have been injured by the following hip replacement devices in common use: Stryker hip replacements and metal hip replacements. Stryker hip replacements were designed to fit a variety of body types. The neck of the replacement is not permanent but meant to be interchangeable. This has ultimately led to a design where components of the device rub against one another, causing metal shavings and toxins to be released into the body of the patient. The ensuing condition (metallosis) leads to potentially debilitating health conditions, including swelling, hip joint failure, and bone fractures. Patients who require ‘revision surgery’ due to a failed Stryker hip replacement may not have adequate bone regrowth to support a new implant. This means that a metal on metal hip replacement procedure is necessary which can lead to its own set of complications. Side effects from this type of revision include persistent pain and immobility. A failed surgical device can result in physical complications. You may also experience emotional and financial devastation. A medical procedure should enhance your life, not ruin it. Auger & Auger does not believe that any patient should be in left in worse condition post-surgery. If you or a loved one has been injured by a medical device, despite its appropriate use, reach out to our team. We will be your legal voice, fighting for the compensation you deserve. Your first consultation with our Greenville defective medical device attorney will be held at no cost to you; we do not want to add to your burden. Additionally, you will not pay for our services unless the claim is successfully settled.